Under the bed is such a handy place to store things. Out of sight, out of mind. In fact so far out of mind that I found some bed skirts that I didn’t know I had and thus had bought new ones. 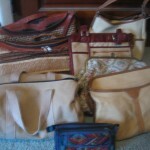 Mostly, however, I found a stash of purses. 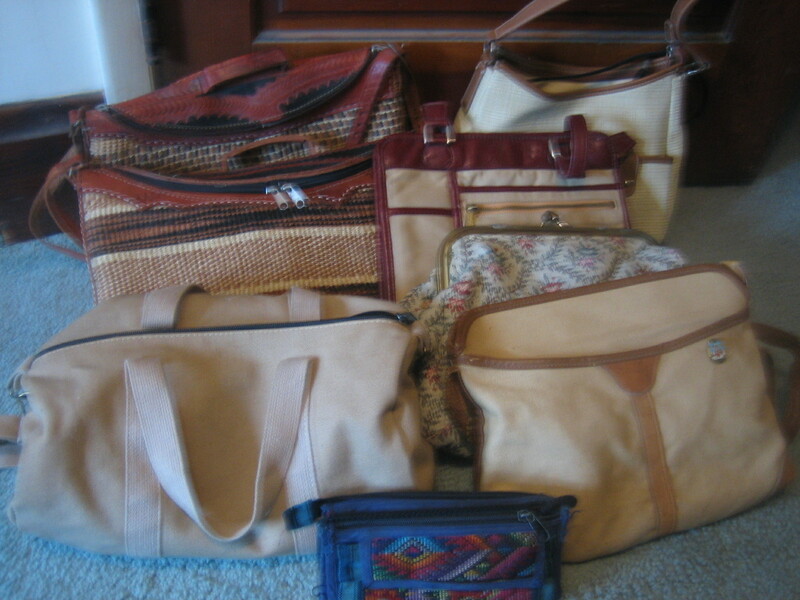 Some were nice but I’ve been on the search for the perfect purse for a few years (one tiny one that fits all my necessities but is the size of a wallet) and another larger one for travel (that fits file folders, a netbook, etc.) I now own my two ideal purses and really don’t need these others.